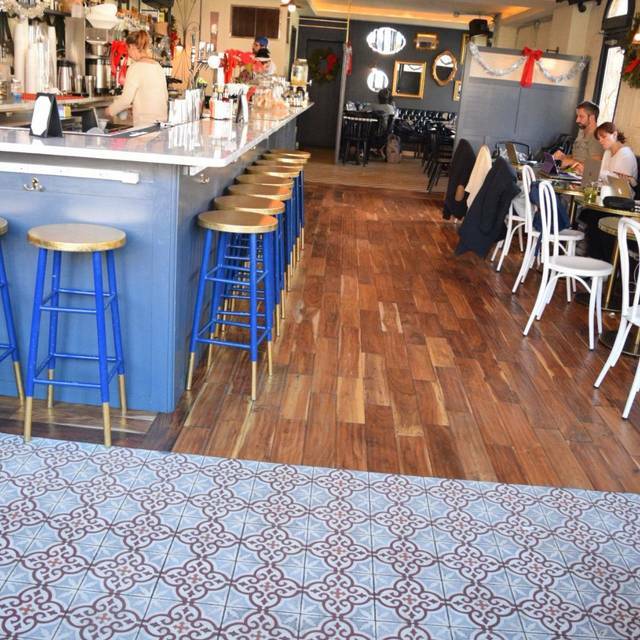 Queen's Room is a new Bistro Bar in the heart of Astoria. 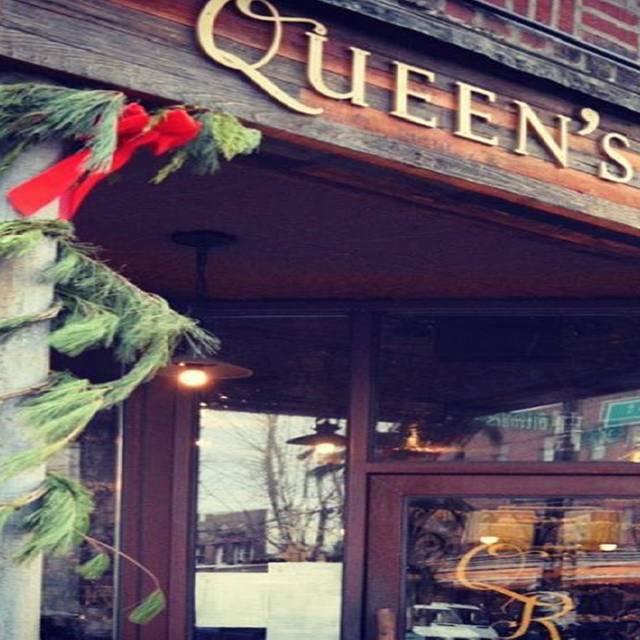 While functioning as a Cafe with locally roasted coffee and wifi during the day, Queen's Room transitions into a full service Bar Restaurant in the evenings. With a heavy Mediterranean influence, Queen's Room brings a level of refinement to classic comfort food in an elegant and comfortable setting. With a number of Gluten Free, Vegetarian and Vegan options, Queen's Room aims to offer something for everyone. Free Friday! Free Select Beer or Wine with a QR Burger! When you order our signature QR Burger, enjoy a Free Beer or Glass of Wine! Thirsty Thursday 1/2 Off Select Wine Bottles! Enjoy Half Off Select Wine Bottles Every Thursday! Includes Whites, Reds and Sparkling! Enjoy $5 Select Whiskey and $10 Specialty Whiskey Cocktails Every Wednesday beginning at 5 pm. Tipsy Tuesday! Buy 1 Get 1 on Beer Wine and Well Drinks! Monday Funday! Happy Hour All Night! Enjoy Happy Hour Drinks and Snacks All Night beginning at 4 pm every Monday. The music was good the ambience was nice service was OK I had the eggs Benedict with the Canadian bacon the sauce was terrible and instead of Canadian bacon I got a slice up some ham. Now if you’re in the mood for a good coffee this is the place to go too! We've had several good experiences having dinner and a couple of good brunches at the Queen's Room. The food is reliably good, and the team working there provide welcoming, warm service which combine to help make it a regular destination. A charming and comfortable neighborhood spot that's also a good value. Lovely brunch with my parents, who were visiting from out of town. The back seating area is slightly cramped, probably to accommodate the cafe aesthetic in the front, but I wish there was a little more space. Otherwise everything here is excellent. I would probably recommend this place for happy hour more than a seated meal, but it's definitely worth a visit regardless. Keep it up! Excellent food, always consistent. Very casual and laid back atmosphere. Can’t recommend highly enough. Really nice place with great food. We'll definitely be back. very cute space! be sure to make a reservation on weekends for brunch, its quaint and doesn't have too many tables. coffee bar menu is excellent, great for a cold winter morning. My poached egg was cooked too long, but nothing earth shattering. The service was great and it was a nice, quiet place for brunch. Unfortunately, I didn’t receive my points despite checking in. Loaded smashed potatoes were amazing, pastas were delicious, strong drinks, no complaints at all. Jackie our server was the life of the environment. Came into the place expecting a decent meal, however left with an amazing experience. Highly recommend. Very happy each time we come here, and so is everybody we bring with us. Food is outstanding. Cute place with great service. Really excellent. Lovely interpretations ! I met a friend at the Queen's Room whom I hadn't seen in person for a decade, and while the QR came recommended, I'd never been there. We would've had a great time no matter what the food or environment, but we ended up in this lovely place with a great atmosphere, delicious food (the roasted brussel sprouts were AMAZING), and excellent service. Thanks, Queen's Room! Food was outstanding, from appetizers to dessert. We had the hummus, crab cakes and cast iron chicken and fritters for dessert. Can’t wait to go back. It was great food and place. But the food took long time. The waitress apologized about it. But we noticed that many people were waiting long time for the food to be served. Seems like a great place, but perhaps we caught them on an "off" day. My son's little league game got rained out so we decided to try Queens Room for brunch with my parents on a whim. We had an Open Table reservation confirmation for 5+ a high chair for 11. When we got there (on time), they didn't seem to have gotten the memo. Another family was finishing up so we waited for their table while enjoying the good music and lovely ambiance. No one ever checked to see if we wanted a beverage while waiting, but we were happy to be out of the rain so didn't worry too much about it. Place was maybe half full or less. Once we were seated we ordered promptly. Drinks came out pretty quickly, but our food didn't get served until 11:50 - 50 mins after our reservation time. My husband's biscuits in biscuits and gravy were burnt, as was my son's french toast. My veggie omelet was "medium well" as well. In my opinion, that food should not have been served to us that way, but we were hungry and the baby was getting fussy, so we went with it. My parents loved their coffees and their food (turkey club and veggie omelet) and thought it was a great experience. For me and my husband, it was meh, but I love dining in Astoria so could probably be convinced to give them another try some day. We came here for a last minute Easter Brunch. We were pleasantly surprised. I must be honest, I expected it to be a trendy place with mediocre food and service, I was wrong. The food and drinks were DELICIOUS! I had the veggie omlette, which seemed like the boring option compared to what everyone else ordered. However It was sooooo good. My boyfriend had the Shakshuka, he said it was delicious! My friend had the eggs benedict, which received a thumbs up! I was also pleasantly surprised with my Moscow Mule & the bloody mary my boyfriend ordered was well made. We also absolutely loved the atmosphere, a relaxed comfortable setting. We really liked our server, she was accommodating and sweet, she never hovered but also didn't disappear. I will definitely be back for brunch soon. Came here for a family brunch. Everyone enjoyed their meal, and in particular the Shakshuka was excellent. After a terrific Sunday brunch at The Queen's Room, we returned for a Friday night dinner. We were again very happy with our food, the ambience, and warm, welcoming service. An unexpected perk was the Happy Hour specials until 7pm on a weekend night. This place truly is a neighborhood gem. Kid friendly and delicious. I’ll visit again. I don't know if this was because they were understaffed, because the place was not full, but the servers just did not come our way unless we either really tried hard to signal, or actually got up and walked to the bar to request attention. We were seated for 10 minutes before I got up to go ask for a menu even. This was the trend in general, and finally for the check too- in just got up to go pay and be done with it. The biscuits and gravy was really good, but I don't think it made up for the lack of service. Brunch at Queen’s Room was incredible. The Belgian waffle is probably the best I’ve ever had. Their “It’s Only Coffee” with Baileys was also great! Will definitely be back!